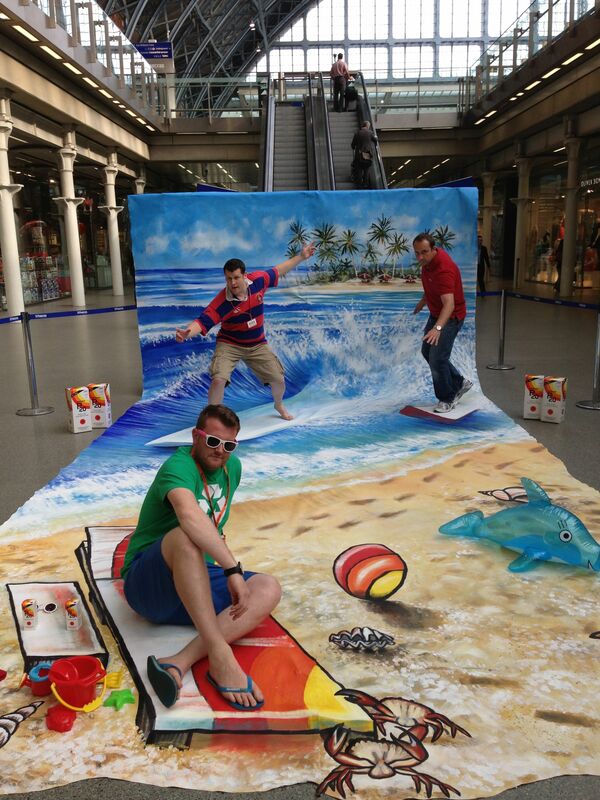 The Beautiful Kirsty Gallacher attended the event and very kindly lay on our interactive 3d Street Art picture. The picture was designed to highlight the brand as well as deliver a fun and interactive experience that members of the public could play on and have their photo taken with. The day finished with thousands of free samples given away, hundreds of social media comments, likes and interactions and some great compliments from Kirsty. Oh yeah and the Daily Mail featured photos of the campaign on their website.... A good day at the seaside for all!